"If you knew him at all, you would know that he wouldn't want you to be sad for a moment. He would want you to remember all the good times, what he gave to radio and to the world." Jack Armstrong, (John C. Larsh) died at his home in High Point, North Carolina, on March 23, 2008. Born on December 4, 1945, he was 62. Also known as Jackson Armstrong and "Your Leadaaaaah! ", he was heard by millions of Top 40 listeners during his career. He worked at stations all over North America, but is probably best remembered for his broadcasts that covered the Eastern seaboard from powerhouse WKBW in Buffalo, New York. 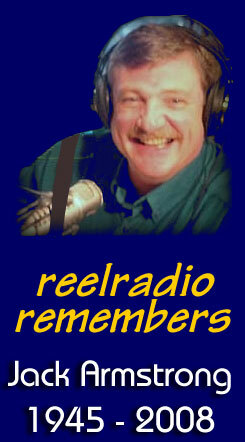 REELRADIO IS PLEASED TO OFFER MANY EXHIBITS FEATURING JACK ARMSTRONG. ALL WERE CONTRIBUTED BY HIS FANS AND FRIENDS.